When you’re on the hunt for the best Tomball TX HVAC Air Conditioning Service needs, you may not know who to go to or where you should place your trust. Are you ready to make sure you’re able to find the right resources so you won’t have to go through too many more difficulties? While you may not have the answers to the questions at hand, we think we’ll be able to offer some help. By calling in Houston Admiral Services, you’ll have the answers you need in no time. Reach out to us today at 281-876-9400 and discover yourself. Houston Admiral Services is a company that wants you to be able to figure out what’s going on with your AC setups. You’re probably on the market for the right resources, and you may not know exactly where to go. After all, there are so many companies out there who are all vying for your business. Capitalism is alive and real, and this is 21st century America. While we must embrace this, it’s important to remember that it doesn’t always necessarily have to be a bad thing. Our team of residential technicians are ready to handle your problems and make the most out of your situation. Are you trying to make sure you have the right AC repairs and replacements for your home? Maybe your guesthouse isn’t really getting too much ventilation and you don’t know what’s going on. Perhaps your heating unit stopped working last winter, and you want to make sure the same thing doesn’t happen this year. These are all very reasonable thoughts, and you have every right to want to play a vital role in what’s going on with your systems. Our team of experts want you to be able to handle your problems in the right ways, and you’ll always have a way out with our team around. Our Tomball TX AC professionals understand how to work your way out of your situations, and we’ll be there when you need us the most. Are you trying to find an emergency Tomball TX HVAC Air Conditioning Service that’s going to provide you with timely assistance? You’re probably looking for an air conditioning unit and a heating setup that makes sense for you. 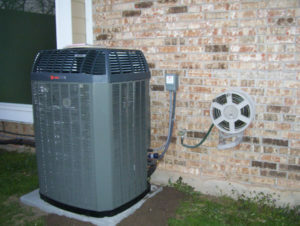 Houston Admiral Services offers emergency AC service 24 hours a day, 7 days a week. Our team understands that when you’re going through something that holds you back, you’re going to need someone who understands the process very well. Are you dealing with an AC unit that shut off suddenly? Maybe you’re currently putting up with some heaters that aren’t getting hot anymore. These are all big problems that need to be addressed quickly and efficiently. Make sure this happens by calling in our team when you sense trouble striking. Maintenance is absolutely critical when you’re trying to find the right solutions for your AC units, but we can help. Our 31-point detailed inspections are perfect for you when you’re trying to get out your repair and maintenance problems. When you’re ready to find the right resources for your needs, we can help. Did you know that there are numerous benefits of maintaining your systems and setups? 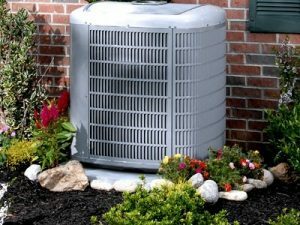 If you’ve got some AC units that aren’t really working well, a simple tuneup could really make a big difference in your life. Many of our customers and Americans alike claim a medley of different benefits. Trying to make sure your energy bill stays in great shape? Maybe you’re just looking for a way to get some added ventilation and circulation in your home. Whatever the case may be, you can count on us to help you through your conundrums. We care about what’s going on with your AC and heating, and we’ll be there to handle whatever comes your way. Houston Admiral Services is here to help you, and we understand that things aren’t always going to be in the best condition. Are you still trying to make sure you get quality prices for the services you need the most? If you’ve been quoting and comparing a lot of our competitors, you may not be too happy with what you’re finding. Are you unable to get a company to align themselves with your budget? When this takes place, trust in our team and figure out your needs in that way. We’re proud to say that we aggressively price our rates and make sure we keep it that way. Houston Admiral Services is very aware of our place in this industry, and we realize that we have to continue getting better. Our team doesn’t stay complacent, and we’re always trying to do something to remain cutting edge. This isn’t easy, and it’s not something that everybody can do and accomplish. Make sure you’re able to pull off your greatest tricks and achievements yet by calling Houston Admiral Services. Dial us today at 281-876-9400 for a free service estimate and more! Our team is ready to connect with you and figure out your needs in no time. Our Tomball TX HVAC Air Conditioning Service setups are here to make sure you have the right resources for what matters most to you. Are you ready to figure out how you’re going to get your AC in the best condition? While this is something that always gets you in the wrong situation and state of mind, we’ll be there to handle your predicaments. Give us a call today at 281-876-9400 to learn more about what it is we do. You won’t have to wait long, and we’ll be there to provide you with timely assistance that matters most to you. Don’t wait; call now! Residents of Tomball who are K-12 attend the Tomball Independent School District. Notable residents of Tomball include Roger Vick, a former football player. Thomas Henry Ball is the person who rebranded and renamed our city. Our community used to be named Peck, but Tomball has been rebranded into something else. Visit Tomball, Texas if you’re trying to figure out your next residential home! We’re ready to help you live a better life.